Aerotropolis Atlanta — Food equipment manufacturer LTI has been named Small Business of the Month in Aerotropolis Atlanta. LTI, founded in 1947 as Low Temp Manufacturing Company, is one of the country’s leading innovators and manufacturers of custom food service equipment and décor. LTI been continuously operating in Jonesboro, Ga. since then. Clayton County Chairman Jeffery Turner praised LTI for the company’s growth and commitment to the community. LTI, with three separate divisions and over 165 employees, recently opened a brand-new headquarters facility on Bill Casey Parkway, the street re-named in March for LTI’s founder, the late William B. Casey. The Aerotropolis Atlanta Alliance, in partnership with the Clayton County Chamber of Commerce, selected LTI as its Small Business of the Month for September. The company also qualifies as a finalist for the Aerotropolis Atlanta Alliance’s Small Business of the Year Award, which will be announced at the State of the Aerotropolis luncheon on Dec. 14. 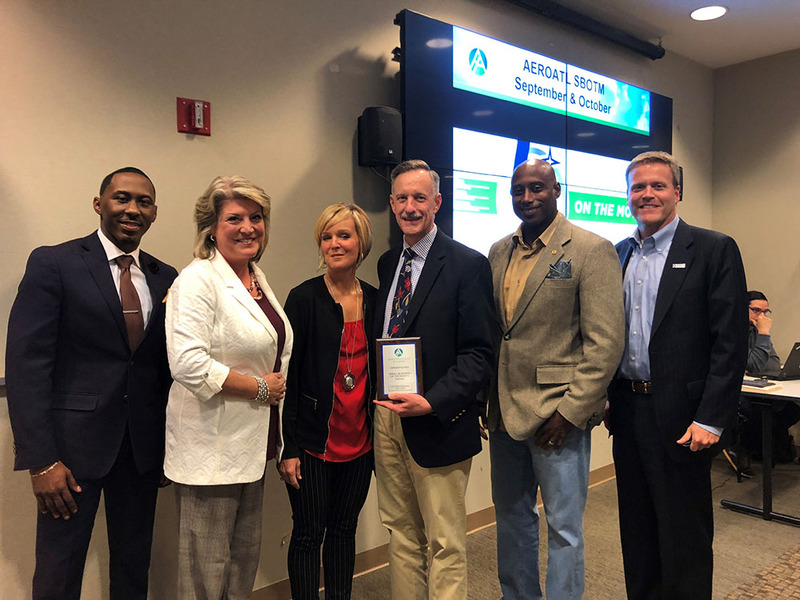 Jonesboro City Manager Ricky Clark, Jr.; Barbara Casey Lane, COO, LTI; Autumn Davis, Marketing and Communications Specialist, LTI; Aerotropolis Atlanta Alliance Board Chairman Dr. F. Stuart Gulley; Clayton County Chairman, Jeffery Turner; and Ben Casey, President and CEO, LTI.